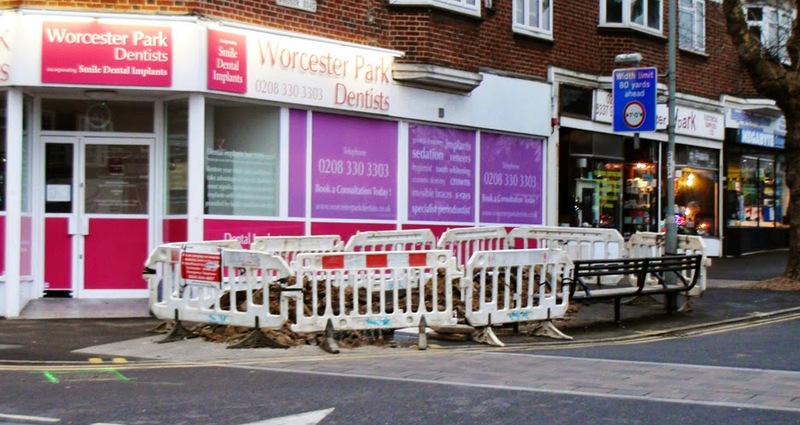 Now that the election is done and dusted and I have spent some time re-introducing myself to my family, it is time to look back over the last few months in Worcester Park. 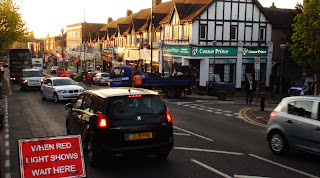 As I have mentioned in a previous recent post, there have been numerous things going on which I just haven't had the time to write about. 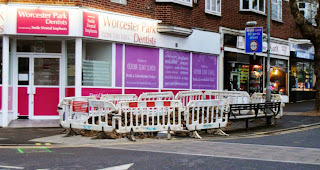 Just prior to the Ides Of March (that's the 15th for those without Wikipedia) a large hole was dug in the pavement outside the Dentist's in Windsor Road. 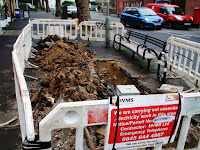 This was for 'essential electricity works in the area'. 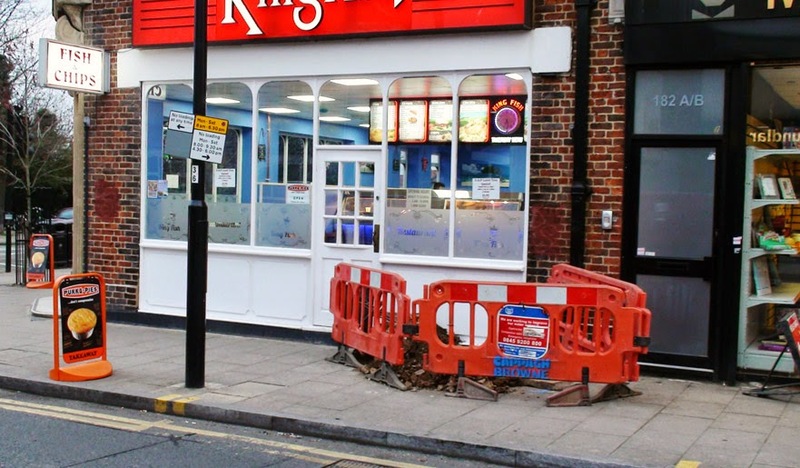 Not long after that, a hole appeared in the pavement outside the newly taken over and refurbished Kingfish fish and chip restaurant. 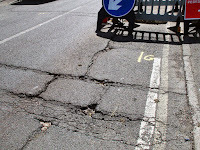 This hole refused to go away for a very long time and was finally closed up again nearly a month later. 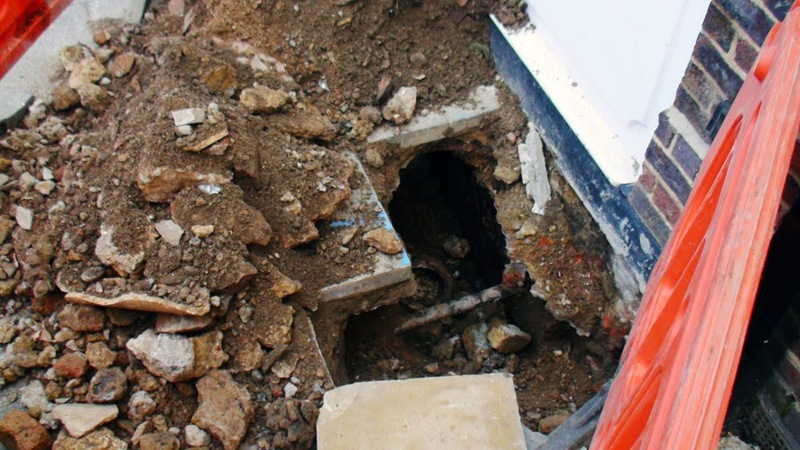 This hole was due to a water leak which was getting into the basement rooms of the new restaurant and took quite a while to fix. 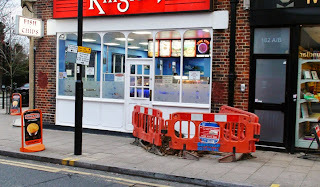 Around the time the Kingfish hole was being finalised (about halfway through April) these holes appeared in the pavement outside Superdrug. 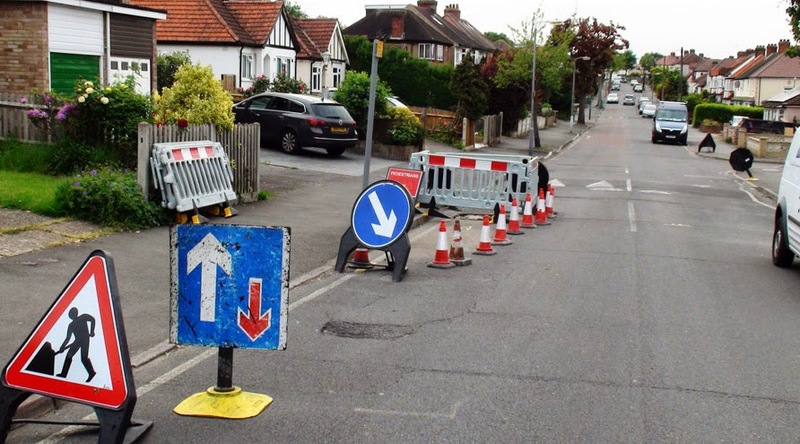 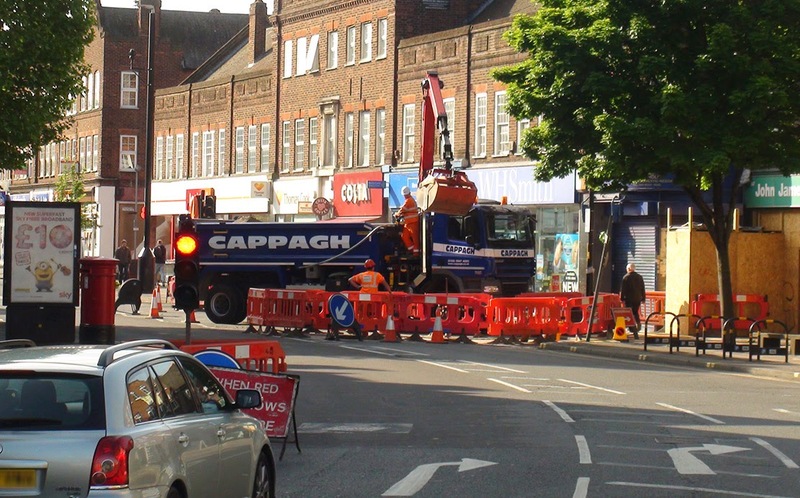 On Tuesday 21st April workmen turn up briefly at around 6:30pm to close half of Central Road opposite Brinkley Road in order to replace a man hole cover. 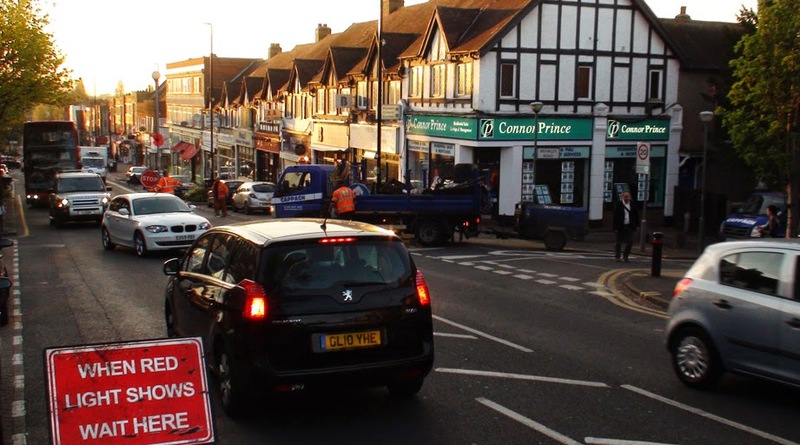 While this was certainly not the best time to choose for such an operation they were mercifully swift and finished in within about an hour. 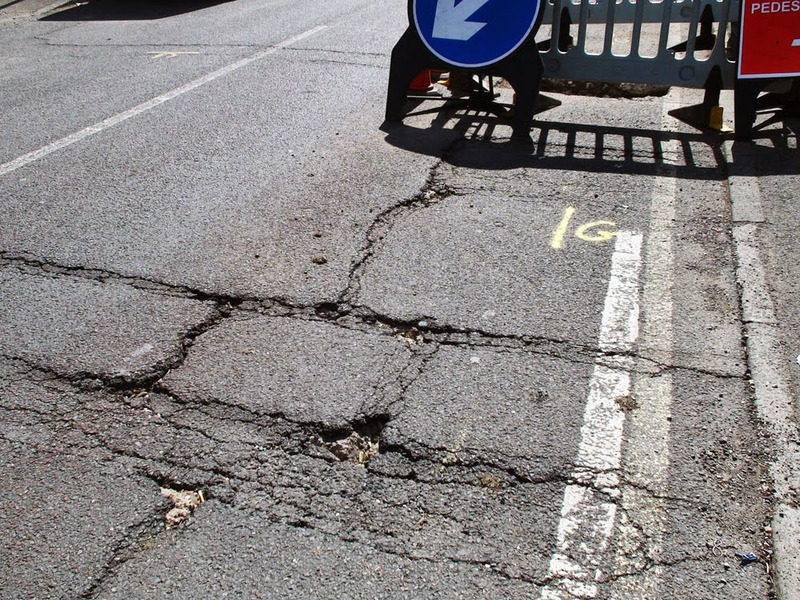 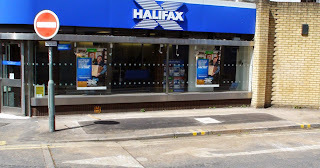 Then in the final week of campaigning a large hole appeared at the bottom on Longfellow Road outside the Halifax. 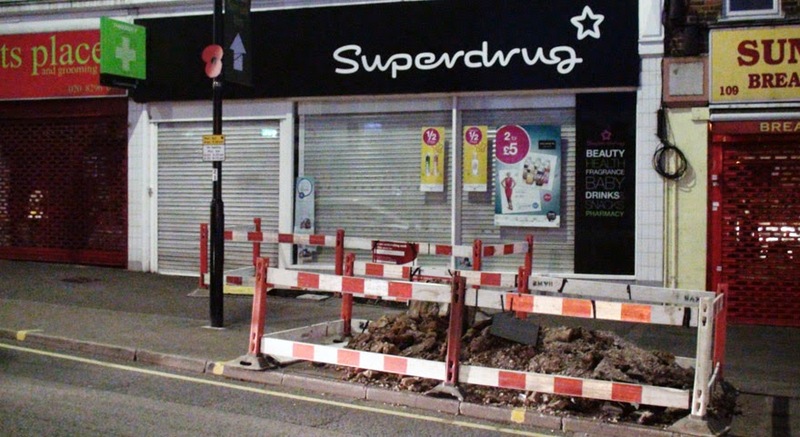 I was rather busy this week and every time I went past I thought to myself 'I must get a picture of that'. 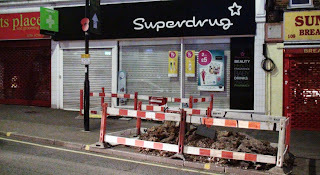 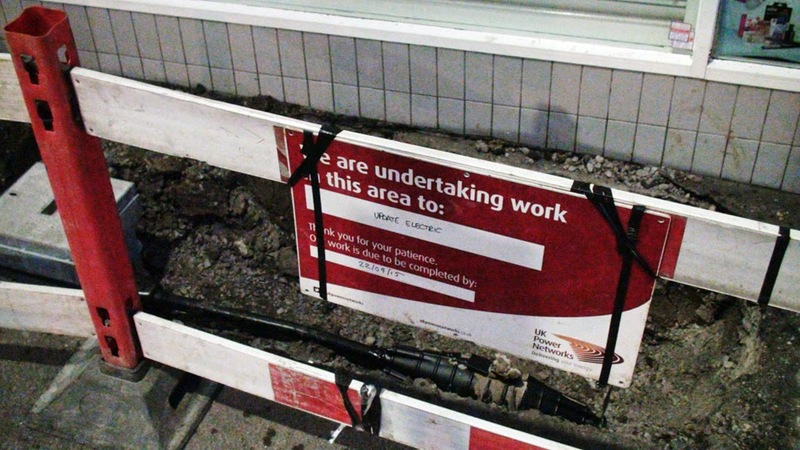 They were quite aesthetically pleasing as far as roadworks go (should I seek help after making such a statement?) 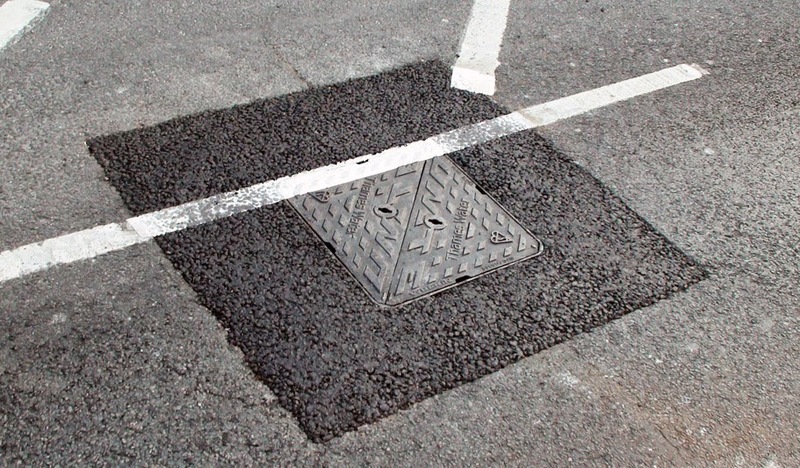 and regret that the morning I managed to wander over to take 'the shot' they had gone - to be replaced with only a darkened oblong of bitumen and a nice new manhole cover. 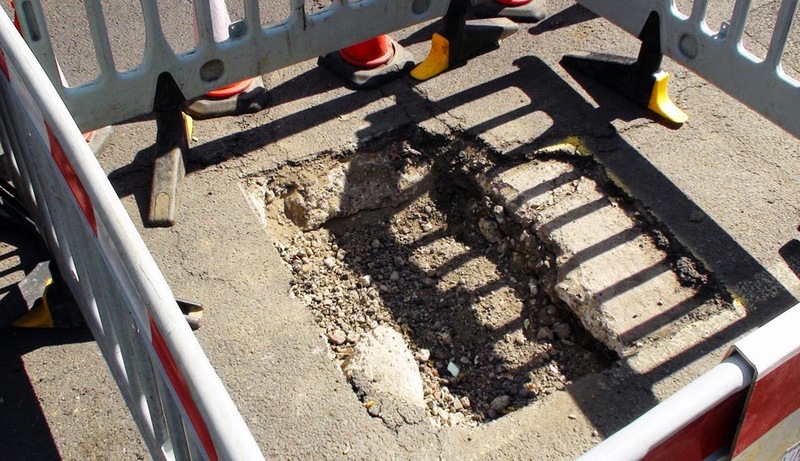 What I can report is that they were to replace electrical infrastructure and power had to be switched off to some local residences and businesses over that weekend. 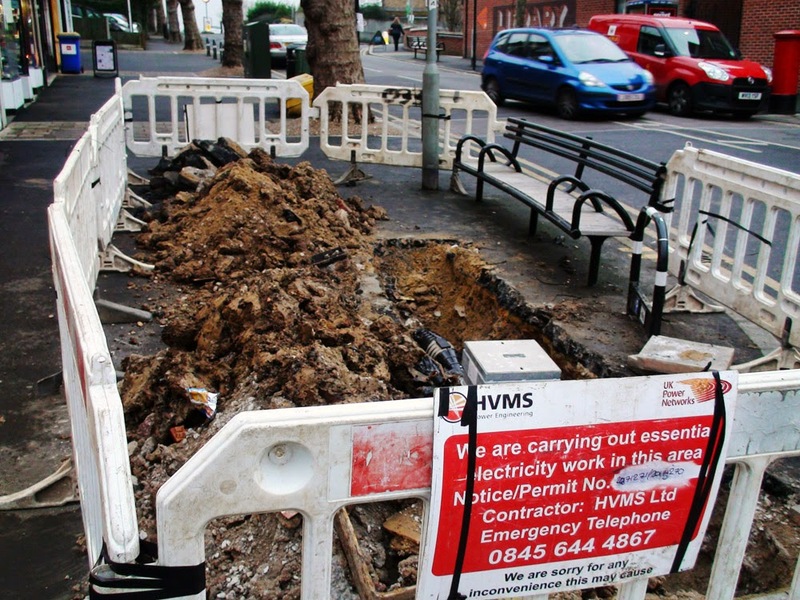 Now into the post-election period, a hole has been dug in Clarkes Avenue to accommodate some gasworks. It is rather a shame that the gas pipes that needed fixing were not a little further down the road as we could have got this rather broken up section of Clarkes Avenue fixed at the same time for no extra cost!